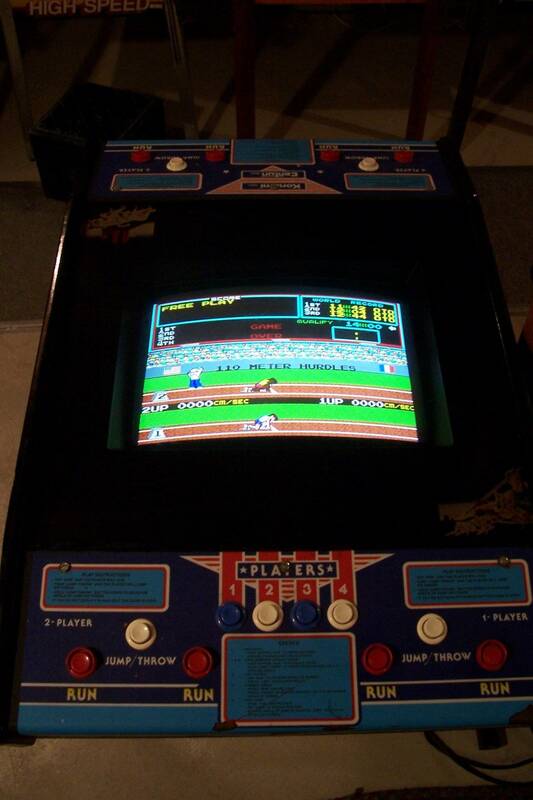 I bought an original Konami Track and Field arcade machine. The cabinet is pretty rough but all of the parts are complete and the game plays. What is the current value for this title? Would it be worth restoring? Are the parts worth more than the whole? Any information would be greatly appreciated. 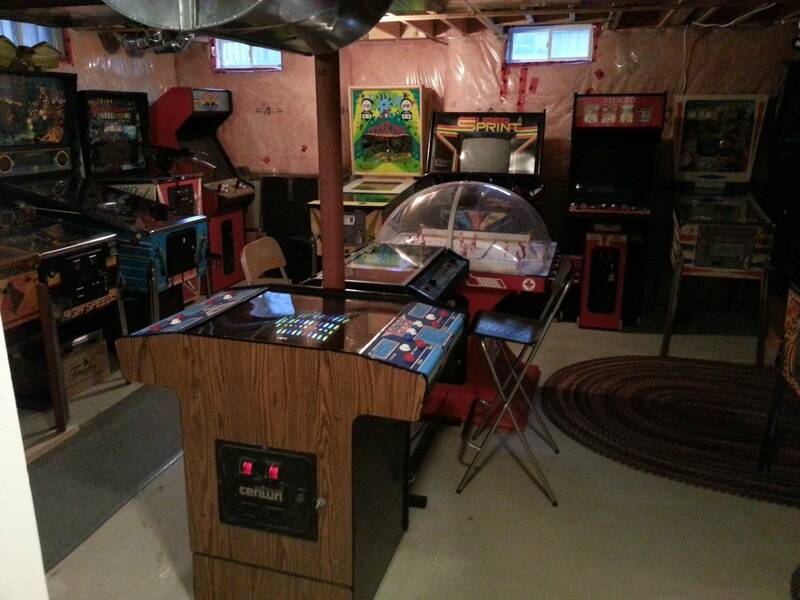 I know a lot about pinball machines but very little about arcade games. TIA! Another fan of track and field but sorry can’t help you on it’s value. Was one of my favorite games as a kid, I have seen them priced higher than a ms pacman but I doubt you will be able to retire with the money if you sell it. Not looking to "Retire" by selling it, but just wanted to know an approximate value so that I can decide wether or not to spend the time and money to restore it or just try to sell the parts and recoup the money that I have in it? I got it pretty cheap so I should be able to at least break even or make a buck or two. I'm certainly not going to hit a home run. Is it the version with the buttons or the trackball? I think most collectors prefer the buttons. Sadly, it's the trackball version. I'd check KLOV listings to see what the market is demanding. For max value I'd look at TNT Amusements, which has one that they're selling for $2,699 but that's for a well restored machine that's been somewhat bulletproofed. Never saw one with a trackball before, i like the tabletop versions. Maybe $600-$800 totally restored with a non swollen cab and good monitor with no burn in. There was a working button version one listed for sale around me a couple months ago. Needed new decals and marquee. $300 CDN. The problem with T&F which I absolutely love, is that it's easily replicated on a MAME and with better buttons. If I were selling I'd probably ask $750 to $1,000 for a decent copy. It's a great game for a barcade. I'd like to find a cheap one someday. That's where I'd want to be a a buyer too, but I think that would be a pretty good deal on a decent cabinet. If I had one I would ask more. Thanks for the replies everyone. I think that I'll change the track balls back to buttons and repair the cabinet. Should look great when I'm finished. Great game. I always do lousy at the hammer throw and high jump, darnit. Also have the Hyper Sports '84 boardset. ... and my red buttons have anti-cheat guards. Can't use pencils or whatever! I have a nicely restored Track and Field with a switcher (so I can play Hypersports too). I absolutely love playing this game. You are making the right call to keep it. I have a nicely restored Track and Field with a switcher (so I can play Hypersports too). Hypersports is the better game (by a lot for me) but they are both Classics. And yes a track ball is a disgrace. I hate the the button guards, they make it so you can only use one finger than having my hand flat. When I was a kid i used a comb to cheat. Uff guards are even worse than a trackball!